Your brand new Android phone might be the fastest phone on the planet, but sooner or later like all other Android phones, your phone’s performance will eventually slow down. But fortunately your phone’s performance can be restored. It does not matter if your phone packs a quad core processor or 2Gigs of RAM, these won’t be of much help if you don’t take good care of your phone. When your phone gets all cluttered with app, games and various other stuffs, there will come a time when your phone will become as sluggish as a snail.I have experienced it on my phone and even on friends. In some extreme cases your phone might become unresponsive and apps may take an eternity to open up. If you are also facing the same problem then we have got you covered in this article. Continue reading below to find out about the possible solutions that can significantly speed up your Android phone. Situations like these are pretty common with android smartphones and fortunately the solution to most of these problems are based on a few tweaks here and there. Here are seven useful tips that will help you to speed up your android phone within seconds. Restarting is the fastest solution to fix a sluggish or unresponsive android phone. many a times android phones become sluggish due to your phone’s resources being occupied up to the brim. 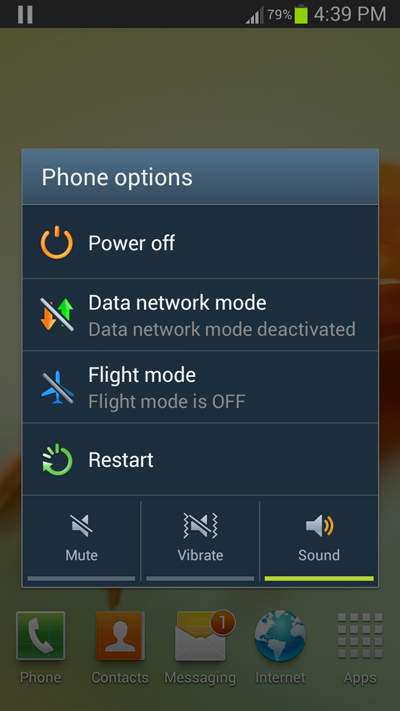 Restarting your phone will help you quickly clear your phone’s resources and speed up your phone. 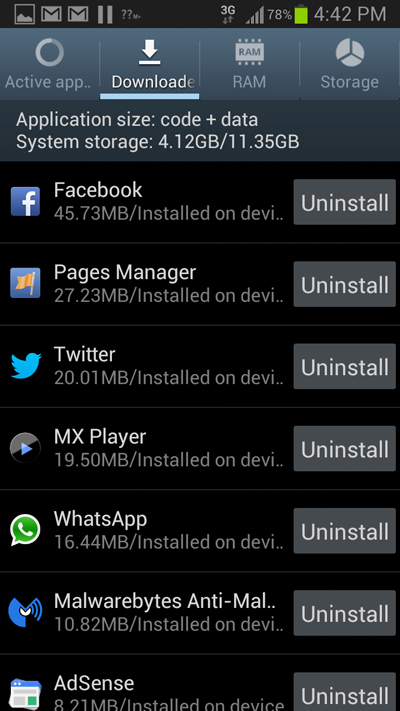 Although the change is not permanent, but its the quickest way of speeding up your phone. Animations add up a lot of eye candy to your phone’s user interface but at the same time they tend up using a lot of your phone processing power. Turning off animation on your android phone will not only help you to free up resources on your android phone, on the other hand it will help to conserve your phones battery power. 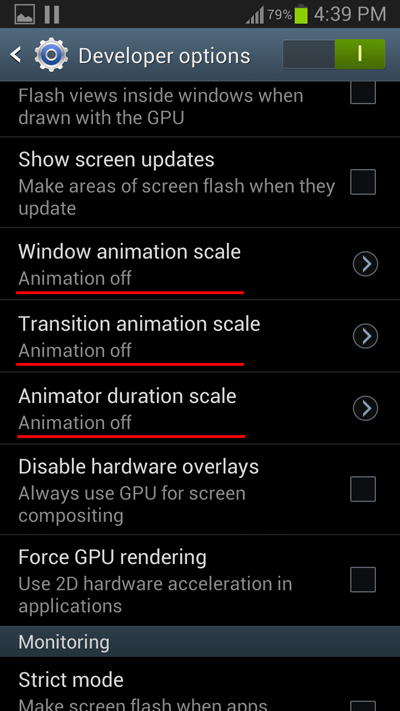 Navigate to your phone’s developer options to turn offanimations on your phone. Most of the time unoptimised Android apps freeze up and become unresponsive and at the same time they keep on occupying and wasting your phones resources. 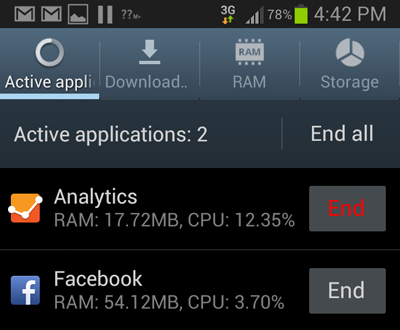 You can force stop these apps using the task manager provided in your Android phone, which will in turn free up the ram on your phone and speed up your phone significantly. All Android apps maintain cache data and eventually these cache data gets piledup, which later starts affecting your phone’s performance. 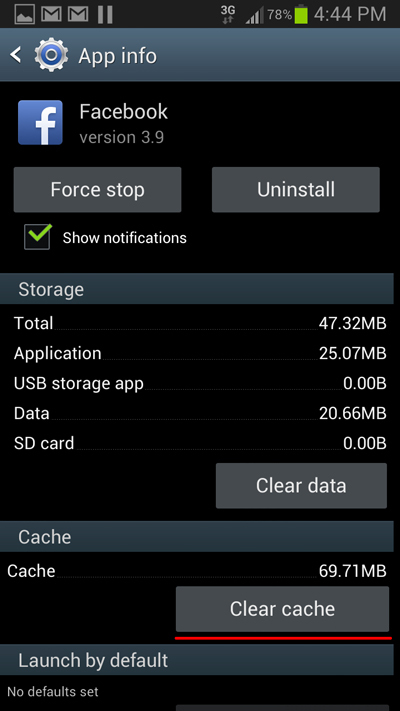 While you can manually delete individual cache data for all the apps on your phone, but it will be much easier if you make use of apps such as App Cache Cleaner, which will automate the process of cache cleaning and save your time. this is universal fact, the less occupied or cluttered your phone primary storage is , the more faster will be your phone. So always make it a habit to store files on your phones expandable storage. 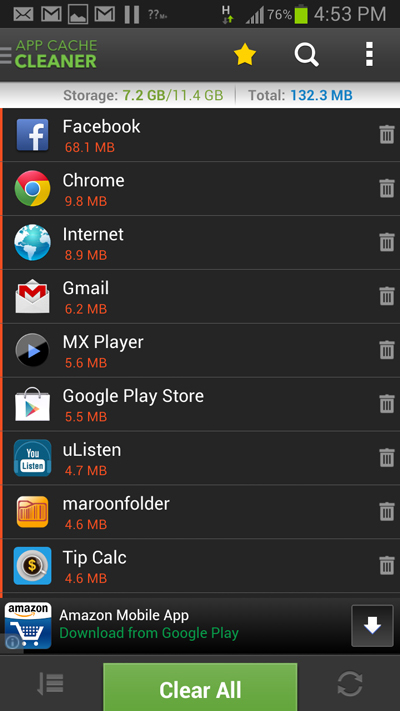 Further if supported, move all the unnecessary android apps to your phones expandable storage. It always happens with me, whenever i get across an interesting app, i promptlydownload it on my phone. but eventually i lose my interest in the app and forget to delete it from my phone. uninstalling unused apps will help you to free up your phone’s storage which will eventually speed up your Android phone. Resetting your phone must be the last resort. 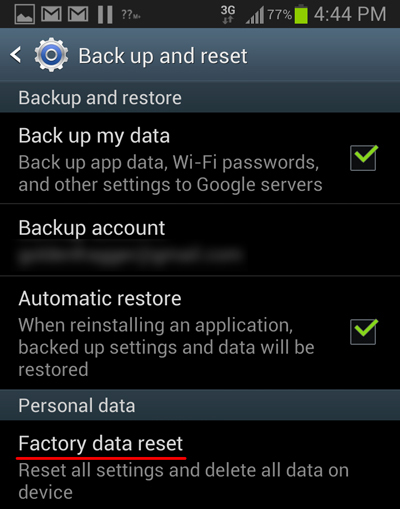 In any case if your phone becomes unresponsive, try resetting your phone. Once you reset your phone, your phone will become faster as it was when you took it out of the box.. But remember to backup all your important data from your phone before your reset it. As most you might already know, most android phone manufacture have modify the android os according to their flavor and release it with various bloatwares. These bloatwares are the main cause why phone slows down eventually. The only way to get rid of these bloatwares is to Root your Android phone and installa custom ROM which does not have any bloatware. One of such popular ROM’s is CyanogenMod which is available for almost all popular Android phones.